This piece is a collaboration between Allen Arthur, a journalist who works with the formerly incarcerated, and Sabrina Schmidt Gordon, a documentary filmmaker currently working on a film about gun violence. A tall, thin wooden box sits amidst the neon tech of the TriBeCa Film Festival’s Storyscapes exhibition. Lines amass for virtual reality demonstrations that promise fun and excitement. There is a line for the wooden box, but it’s smaller than the rest. 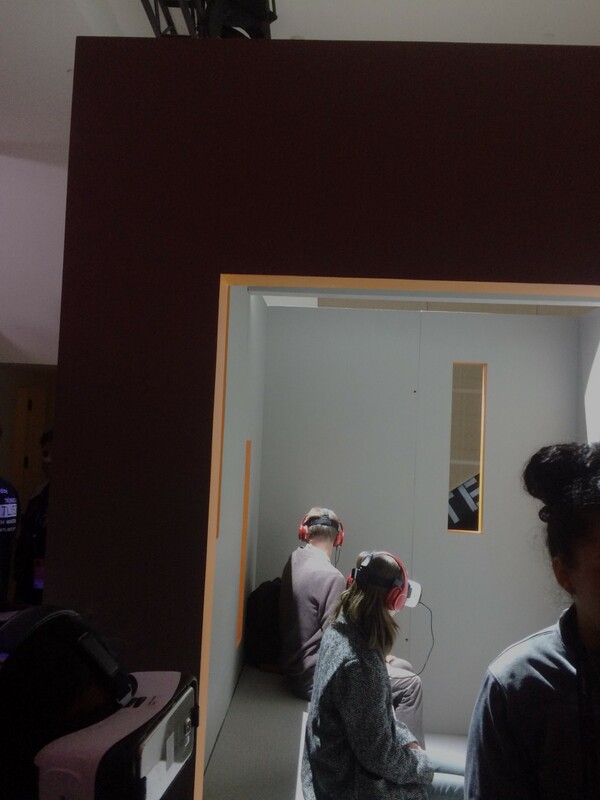 When people walk by and ask what the setup is for, an attendant tells them, “It’s a virtual reality simulation of solitary confinement.” Their reactions are some combination of surprise, fear, and disbelief. “Oh, no way!” is a common response. For many of those who experienced it, however, the exhibit was disorienting and powerful. Participants were led into that box —partially open, which made it only slightly less claustrophobic — for 6X9, an immersive virtual reality experience of a concentrated nine minutes in solitary confinement. 6X9 was a project of The Guardian and a number of formerly incarcerated people who personally experienced solitary confinement. Even in the thick of a densely packed TriBeCa show space, the effect is seismic. While there is an extreme and visceral effect on viewers, 6X9 also rewards reflection. Part of what makes it so powerful, even though it’s not something one realizes in the moment, is that the project exemplifies what can be achieved when a big newsroom leverages its resources in service of and in collaboration with a community longing to be heard. 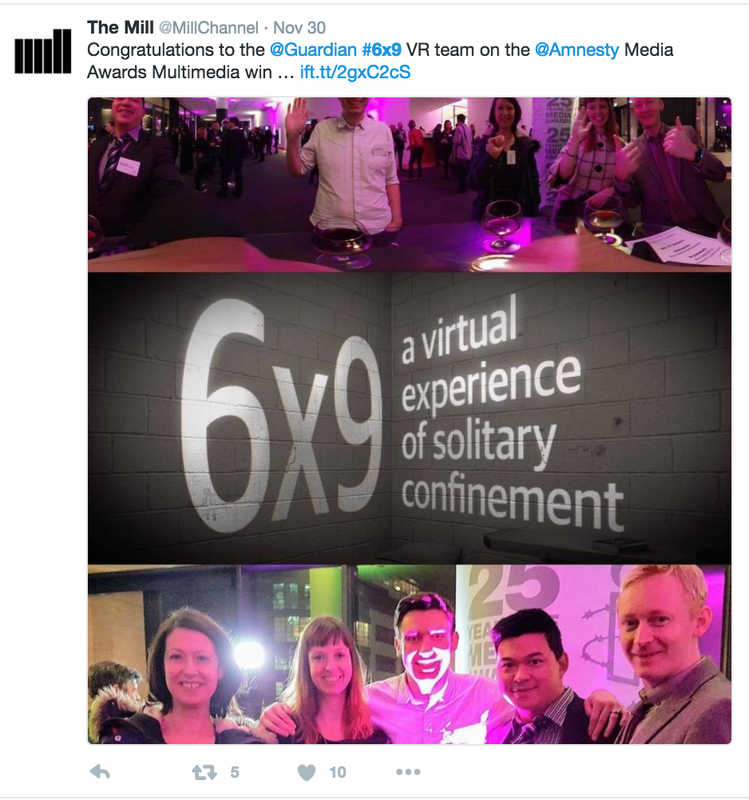 The Guardian’s Francesca Panetta said she worked as “the intermediary” between the designers and those who had experienced solitary to ensure every detail was truthful. That community, on its own, probably wouldn’t (or couldn’t) put together a virtual reality epic and tour it around the country. With The Guardian, each collaborator is able to use their strengths. The community adds detail and experience, while The Guardian adds audience reach and resources. While the formerly incarcerated people who helped build 6X9 literally have their voices and experiences presented throughout, Ms. Panetta felt that ensuring total accuracy was vital to the desired effect: helping people who have never experienced solitary begin to understand what it’s like. Therein lays the potential power of virtual reality. With VR and its immersive nature, journalists and story tellers can put people in worlds with which they are unfamiliar. 6X9 encompasses encompasses many of the best aspects of virtual reality but also contains some of its complications. While those working the TriBeCa event didn’t report any issues, 6X9 certainly could be troubling to some viewers. The effects, though brief, are designed to mimic solitary: a loss of a sense of time, disorientation, claustrophobia, a fight or flight response. Is something so viscerally jarring good for the viewer? There is also the matter of what the desired affect is and how we get there. Sam Gregory wrote eloquently and passionately about this issue, but similar challenges have also popped up in our respective work. First, there is a bit of a bubble created by the intense nature of the material. People barely want to hear sad stories or see suffering, let alone volunteer (or pay) to immerse themselves into a simulated experience of suffering. How do we overcome avoidance and denial? People might not want to experience these things and often don’t want to even admit that they’re really happening. 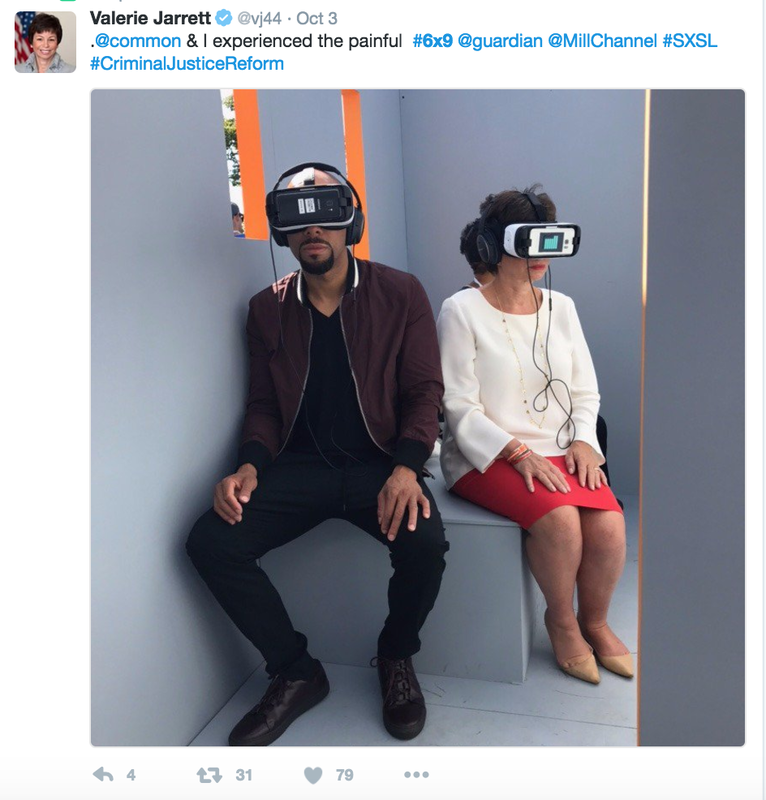 The impulse toward denial of suffering and atrocity might not bode well for engagement with immersive tech. Another related issue is one of distance. Are we bearing witness, as intended, or are we merely spectators? Like with all art, one cannot reliably anticipate and certainly can’t control how people will engage with the material. Creators can make their best efforts to tell the story as compellingly and authentically as possible, ensuring every detail is truthful as the 6X9 team did. But, the creator can’t control whether the person is empathizing or merely having a voyeuristic, no-investment experience, or even worse, that the experience is simply serving to desensitize them to the very experience the creators hope to reveal. Moreover, organizations are struggling with just how to use this technology, both in terms of which stories are told with it and how much money and skill VR requires. 6X9 has still made huge progress on one front. 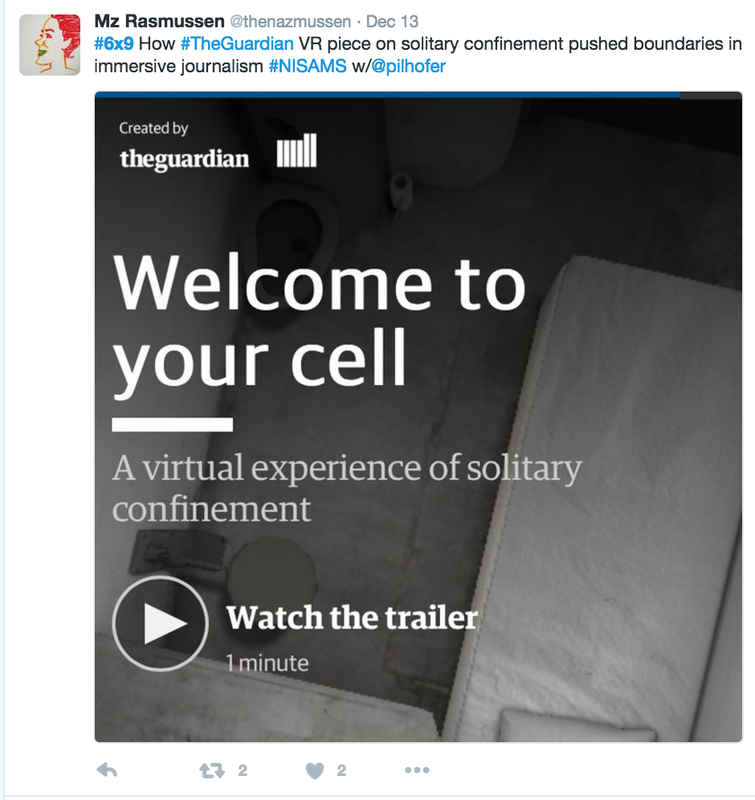 While solitary is starting to be covered a great deal, its experiential nature makes it hard to get across in the traditional article format. 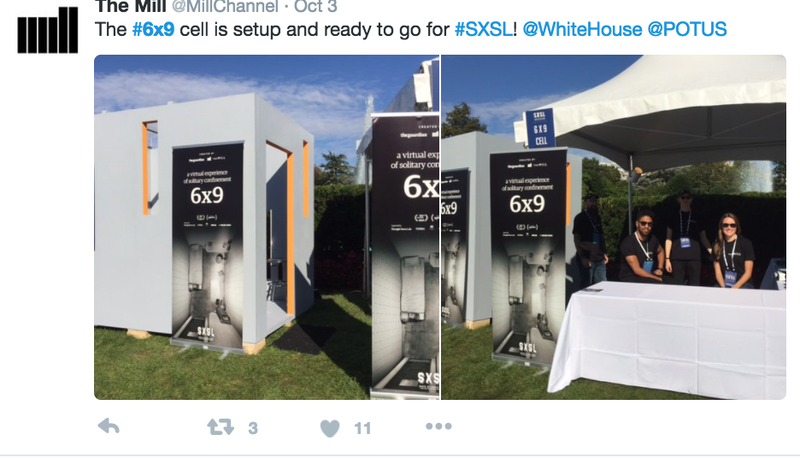 6X9 helps people understand what it’s like inside for nine disconcerting minutes. Despite, or perhaps because of, that intense experience, 6X9 has been winning awards, received copious praise on social media, and has gotten a number of notable visitors. The issues 6X9 raises are not necessarily unique to VR, but they are questions that need to be wrestled with as the technology grows. Audiences might have a vicarious experience, become emotional, cry, and make very passionate statements afterward, but it can’t end there. How do we engage people beyond the experience, so that they don’t simply go back home to their lives? Does immersive media disrupt this or contribute to it? And if it’s the latter, are there approaches that can pivot the user from empathy and emotion, to solidarity and action? As we move forward both journalistically and artistically with VR, the goal of compelling people to act without exploitation or trauma is perhaps how success will be judged. 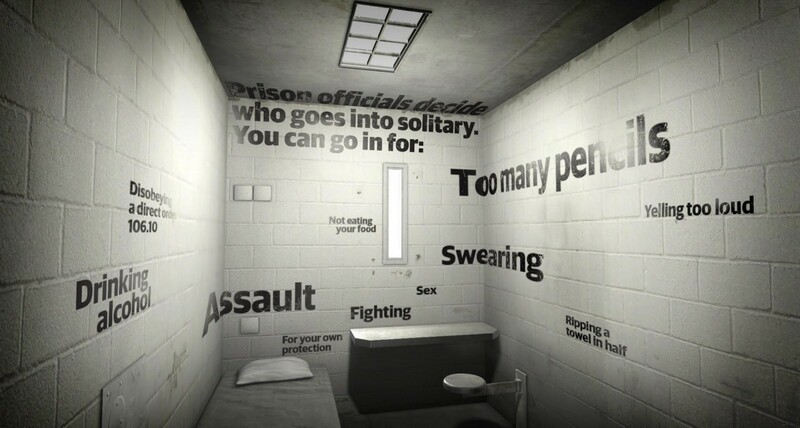 6X9 is a genuinely stirring experience, one which has led to success, increased awareness, and a larger platform for those who were held in solitary confinement to speak on the issues around it. Its relative accessibility is a testament to the care and partnership that went into it. That maps out a possible solution to those thorny ethical issues of immersion: welcome the community in to inform the work. When those most affected are excited to participate, there’s no need to work in isolation.